What is a capture hood? A capture hood is a device that channels the air flow out of an air conditioning system. What does a capture hood do? The capture hood will simultaneously measure the relative humidity, temperature and air flow rate from the aircon system. 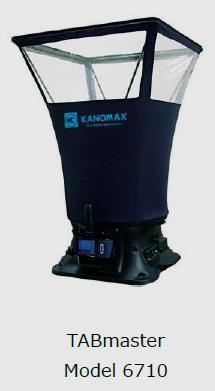 The advantages of the capture hood are its ease of use i.e. all the measuring instruments required for balancing and data retrieval are supplied as a complete package. Testing is the use of specialized and calibrated instruments to measure temperatures, pressures, rotational speeds, electrical characteristics, velocities and air and water quantities for an evaluation of equipment and system performance. When does TAB need to be performed in Singapore? The amount of testing, adjusting and balancing a particular building needs may vary based on the equipment and complexity of the HVAC system, but there are some general guidelines that can help a contractor or technician determine if TAB is necessary. When a new HVAC system is installed it will need to undergo the TAB process to ensure it is functioning as intended. Any time a building undergoes significant changes due to renovation, construction or a hange in purpose (example: warehouse space is now going to be used for manufacturing). Seasonal changes may also prompt a TAB check-up, such as when switching from heat to air conditioning or vice versa. Why is the TAB process important? The testing, adjusting and balancing process is important for several reasons. 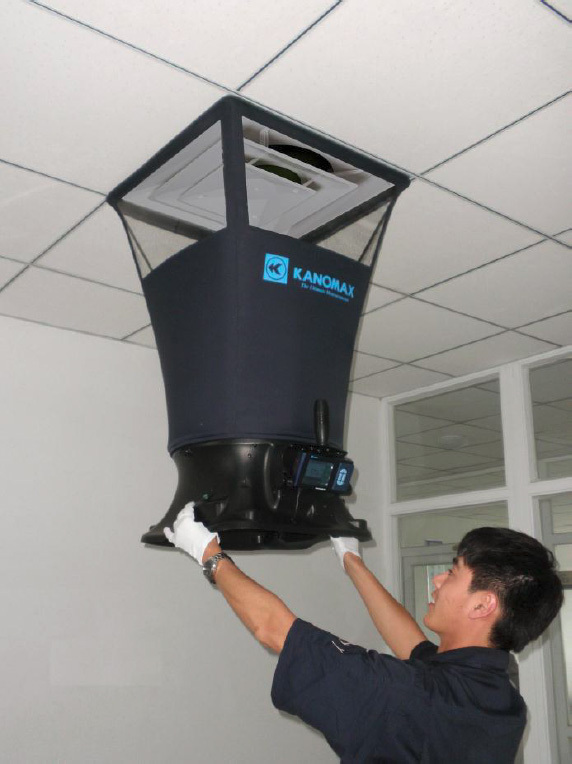 It ensures that HVAC equipment is performing according to specification. It reduces costs by ensuring that heating and cooling are being performed efficiently, which in turn extends equipment lifetime. It can help a building comply with local energy conservation requirements. It also ensures the building’s occupants stay comfortable which can increase worker productivity in a work environment. What tools are available to help a technician or contractor with the TAB process? There are many instruments that can be used to measure air flow, temperature and humidity such as anemometers, thermo hygrometers, or IAQ monitors. The Capture Hood is a popular tool for TAB work because it can measure the direct air volume rate from a supply or return duct quickly and easily. Hoods come in many sizes making it easy to choose one that matches the size of the access point the measurement will be performed at. Once the number of air changes is known the amount of fresh air being supplied can be determined by multiplying it by the percentage of outside air (calculated separately). The following chart is from ASHRAE Standard 62, and lists the recommended volume of fresh air that is needed for many common indoor environments: Applications involve air conditioning systems in dining areas, kitchens, school classrooms and laboratories, hotel rooms, parking garages, offices, conference rooms, public rest rooms, smoking areas, retail stores, gymnasiums, auditoriums, cinemas, operating rooms, residential areas, baths and other areas where HVAC systems are in use. 23 to 2500 cfm (40-4250 ㎥/h) range. Displays the direction of the airflow as well as the velocity. Onboard datalogging records up to 3,000 measurements. Advanced storage feature allows you to store multiple measurements under a single ID#. Five hood sizes make it easy to pick one that fits your duct size. Built-in back pressure compensation ensures accuracy for large volumetric flow measurements. Temperature compensation sensor increases accuracy for all airflow measurements. Capture hood application areas are dining areas, kitchens,hotel rooms, parking garages,offices, conference rooms, public rest rooms, smoking areas, retail stores, gymnasiums,school classrooms, school laboratories, university labs, auditoriums, patient rooms, hospitals, operating rooms, residential areas, residential baths, residential areas, life science.